Over the years I joined various youth activities, one was the St Nicholas Church Lads Brigade. I would have been about 11 at the time, around 1955. 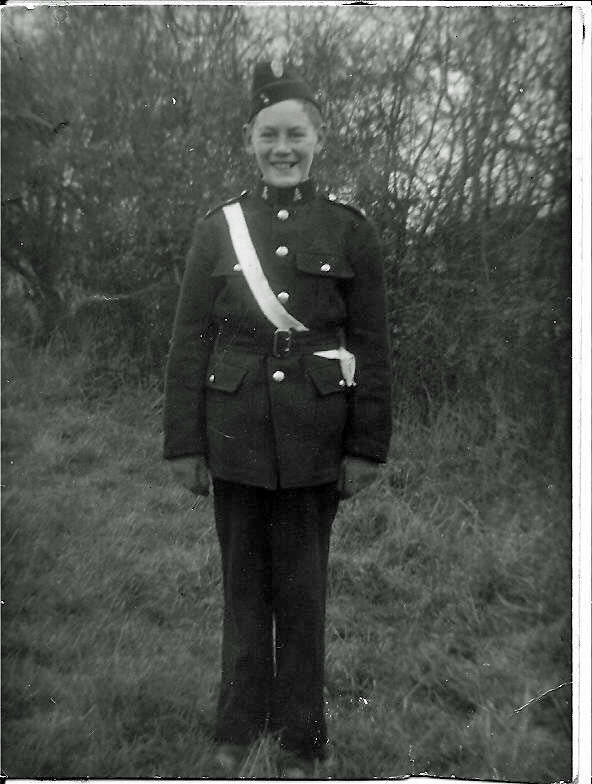 I did not stay long, only long enough to get the uniform and a bugle that I never learnt to play. We use to meet in the Church Hall just up from Pound Lane. I remember on one occasion we all had a go at boxing in a ring that had been set up and although I was the sporting type I got hit on the nose, did not really hurt but my eyes would not stop watering. That was enough for me and I have never put on boxing gloves again. I also remember that we would march from the Garden of Roses on the corner of Basildon Drive and St Nicholas Lane up to the Church. My final memory was of the Commander in Charge calling on my house trying to persuade me to stay, but it was too late, Cricket was becoming my passion. Is there anybody out there who remembers the Lads Brigade and who might have a photograph of them? If so please get in touch.